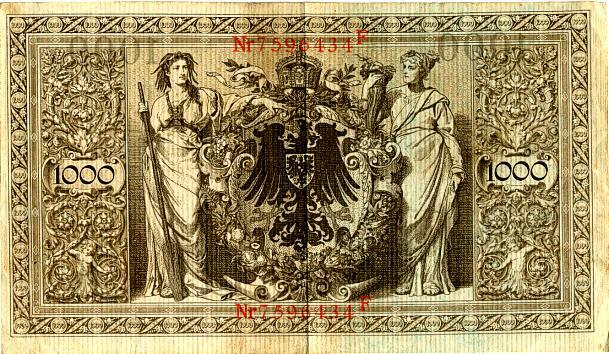 Beautiful Old Paper Money Reichsbantnote 1000 Mark from Germany issued in 1910. Red Seals on face. This item is over 97 years old.